With the first Toronto Men’s Fashion Week (TOMFW) just around the corner (Aug. 12-14th at The Fairmont Royal York Hotel), we got the scoop from the Editor-in-Chief of TOM* magazine, Danyl Geneciran. In our interview below he details what to expect at TOMFW. 1. Tell me a bit about yourself and the highlights of spearheading TOM* magazine. I’m the Creative Director of Accent Magazine, and Contributing Editor to other fashion publications including Homme Essential, F-ing Young and Fault. As of 2 months ago, I was appointed as the the Editor-in-Chief of TOM* magazine. Working in the fashion industry, mostly in the areas of publication for quite some time now, I feel like it’s appropriate to be in this position. I want to challenge myself in helping build the industry through the accessibility of getting fashion inspirations from the magazine’s contents. 2. Can you give us a teaser of some of your story concepts? That’s something that the audience can find out when they get copies of the issue. But I can buzz out the magazine’s style. Fashion and photography are very heavy in the magazine with its cutting edge editorials and inimitable artistic élan. Writing style wise, they’re very stripped down and we like very punchy opinions from the people we interview. 3. Looks like guys are starting to get the love they deserve. This is Toronto’s 1st TOM and the 8th International Men’s Fashion Week. Talk to me about the importance of that. It is important because it helps expand the growth of menswear industry in Canada and it serves as the platform to build a bigger and stronger market for Canadian designers, especially the emerging ones. Lots of new and young talents in the city! 4. 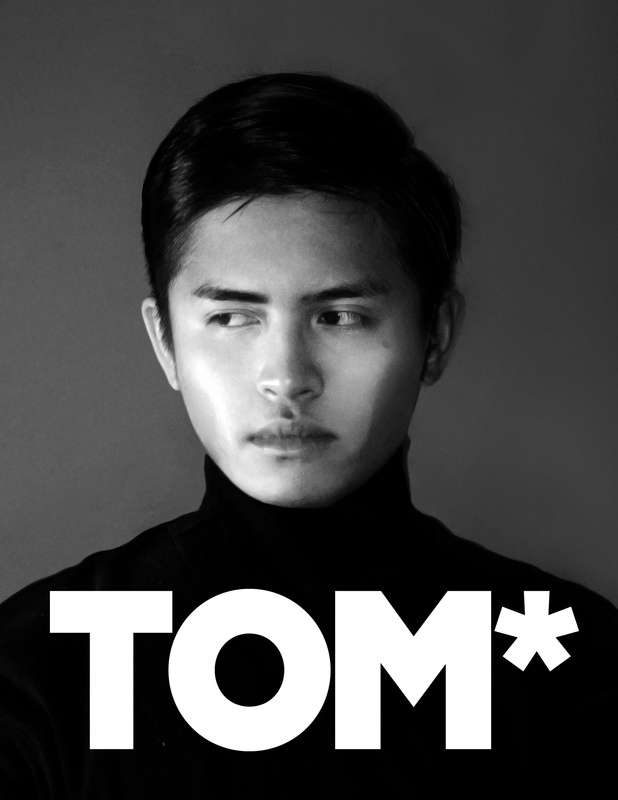 Do you feel TOM* helps put Toronto on the ‘fashion map’? Yes. It may not have its title yet, but in no time it will eventually be part of the global march of the fashion trenches, especially in menswear. 5. Would you say Toronto Men’s Fashion Week is targeted towards a specific audience? Each designer that will be showcasing will be very different from one another. From classic to avant-garde, their styles are very diverse and just like their audience. Anyone can be TOM*. 6. Lastly, what are the must-see shows & events for Toronto ‘fashionistos’? Definitely ALL the shows at Toronto Men’s Fashion Week. I’m very stoked and looking forward to the collections from the emerging designers who are having their first shows at TOM*.